"It would be the last unicorn in the world that comes to Molly Grue." I'm about to begin a cape knit-along. This is not to be confused with a caped knit-along, where one knits incognito. Or a crepe knit-along, which would involve breakfast, though that's not a bad notion either. 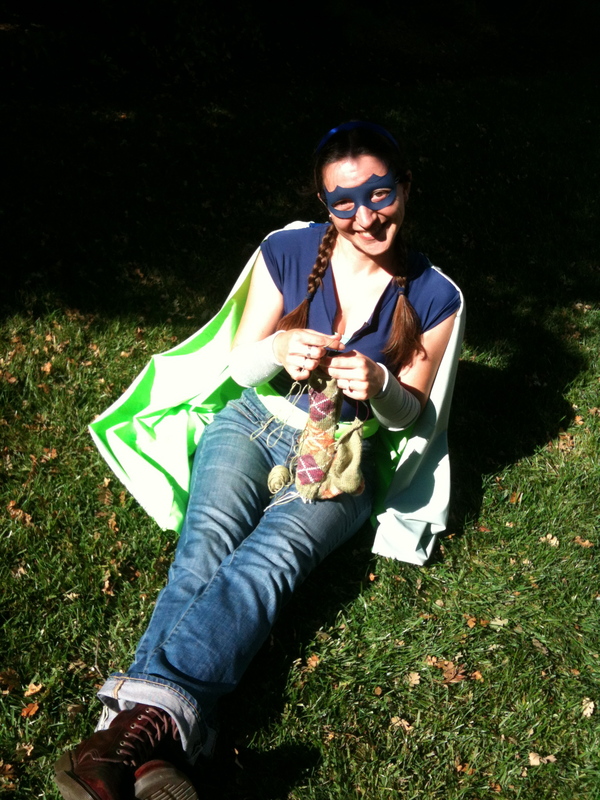 A cape knit-along, in this case, is where I've decided to knit a cape and wiled a friend into doing it with me. At some point it came about that we needed a good heroic literary figure on whose shoulders to drape our capes. I went through all the caped and cloaked folk I could think of, from Sherwood Forest to the Shire, and who I kept coming back to was the surprisingly modest choice of Molly Grue. And now's the part where you say, "Who?" And then I heave a big sigh before launching into another lengthy review of a book you need to read before you die. Can we skip this part? What if I just say that if you haven't read The Last Unicorn by Peter S. Beagle, then you have homework to do. And if you have read it, may I suggest the graphic novel version as extra credit? It's beautifully drawn and caught the truth of the story. http://swingbug.net/sites/swingbug.net/files/Boundless.pngThe point is Molly Grue is thin thorn of a woman with fierce tawny eyes, hair the color of dead grass, and a heart that willing to grow. And I'm knitting her a cape. The pattern, if you're interested, is Boundless by Christa Giles. I'm knitting it up in KnitPicks City Tweed Aran in the colorway (I love this) Toad. As per usual, you can stalk it on my Ravelry page. But this is a future caper. Or rather, a current caper for a future cape. Progress to come. Until then, I to my needles and you to your homework. Do I have to go back to my homework? Really? Drat. D'Artagnan, Molly Grue's compatriot, is being knit in Rowan Kid Classic in dark, almost black, navy. En Garde! D'Artagnan may need a sword. D'Artagnan may need a sword. We should go shopping.